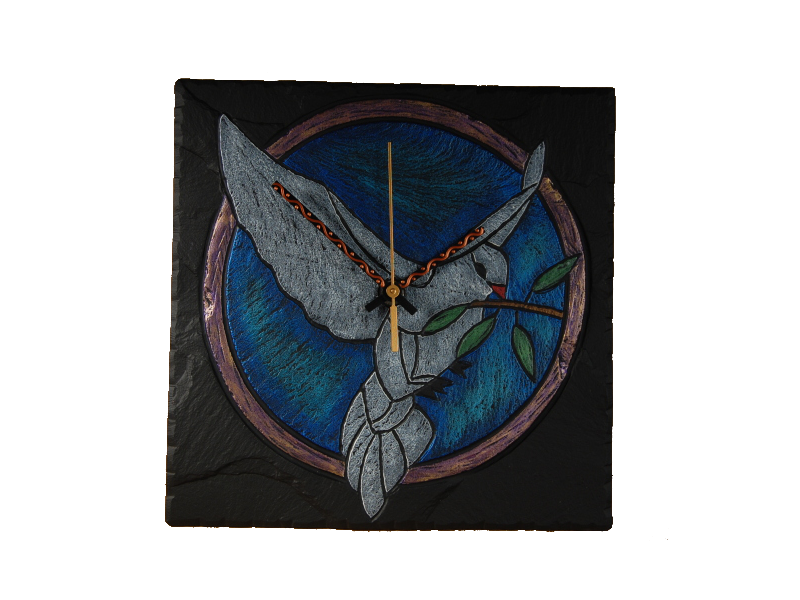 In times like these when there are so many wars going on all around the globe we need a reminder that peace is and should be an option. 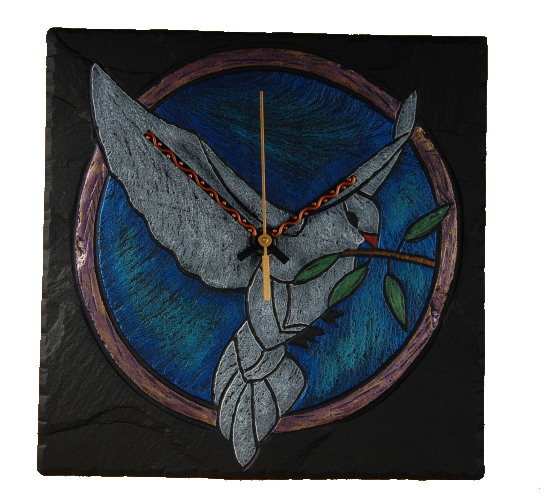 These doves of peace on our clocks were commissioned by Tullamore branch of Amnesty International a few years back. I just came across them today and wanted to send them out there.